This ornate extravaganza, designed by the splendidly named Fitzroy Doll, was built in 1898. Ornamental Passions has a good post about the building's sculptures. 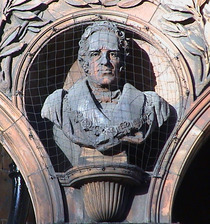 The terracotta work is by Doulton's. On the Russell Square frontage above the main entrance there are 4 statues of British queens, left to right: Elizabeth I, Mary II, Anne, Victoria. 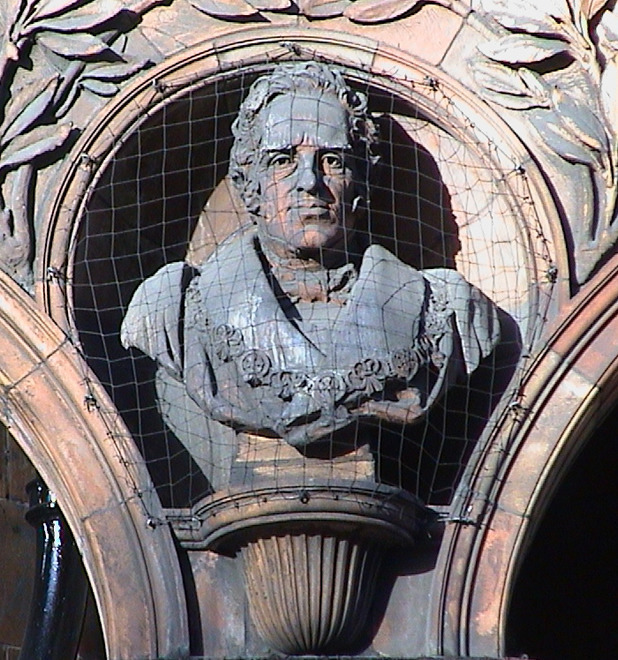 On the Guilford Street frontage there are 4 male busts, left to right: Lord Derby, Lord Salisbury, Gladstone, Disraeli. Dizzy is easy to spot but we initially found the identity of the other three magnificently miserable gentlemen a mystery. Ornamental Passions have solved the conundrum for us. We are still puzzled why the PMs are all wearing something that looks like (but presumably isn't) a mayoral chain and so, strangely enough, is Queen Anne but not, as far as we can see, the other Queens.